When you visit one of our Charlotte Cancer Centers, you are going to receive care from some of the top cancer physicians in the southeast. Depending on the center you visit, a range of specialists will be able to work with you to provide the best treatment. Each of the top centers have physicians that know about all forms of cancer, and physicians that specialize in each type of cancer. So, if you are suffering from breast cancer, or lung cancer, there are specialized physicians and nurses at one of the many centers in our integrated network throughout Charlotte. Our Charlotte Cancer Centers focus on radiation oncology, as opposed to chemotherapy, to treat patients. This form of treatment is not only prevalent in curing cancer, but can also help stop growth if caught early on, so that patients do not have to worry about the cancer spreading. This treatment will also reduce the symptoms you would otherwise suffer from, with chemo treatment; as it is a localized treatment, rather than going through the entire bloodstream, you don’t have to worry about different side effects and symptoms, which are common with chemo. Radiation therapy works to damage cancerous cells in the DNA, preventing regrowth, preventing spreading, and allowing the body to naturally eliminate the cells from your system over a period of time. When you choose to visit one of our Charlotte Cancer Centers, you will also be treated by the latest radiation beam treatments, and the best equipment available to patients today. With the best x-ray and radiation equipment, not only will your treatment be pain free, as it does not touch the body, you will also find that with a better centralized treatment method, it can kill the cancerous cells in less time. We employ only the latest treatment methods, and use only the best equipment in our cancer centers, to ensure patients will receive the best care possible, and that the treatment takes less time than it would at other facilities. A care team at one of our Charlotte cancer centers, will create a personalized treatment plan for each patient; we not only take the time to put together the right doctor and nurses, but also a care team to work with you through treatment. We initially go through a consultation, and will discuss the results of our screening with you. Once we do this, we can develop a treatment plan, and go through a simulation, so you will know what to expect during the treatment phase. Weekly checks are done, and weekly beam films are taken after treatment, to evaluate tumors, and the progress made. Once your treatment is complete, you will still come in for routine check ups, to ensure the cells do not regrow in your system. At our many Charlotte Cancer Centers, we have the personalized treatment for you, regardless of the type of cancer you are suffering from. We take the time to diagnose the problem, in order to determine the best treatment plan. We discuss all steps of the process with you, so that you understand what treatment you are undergoing, and what to expect along the way. 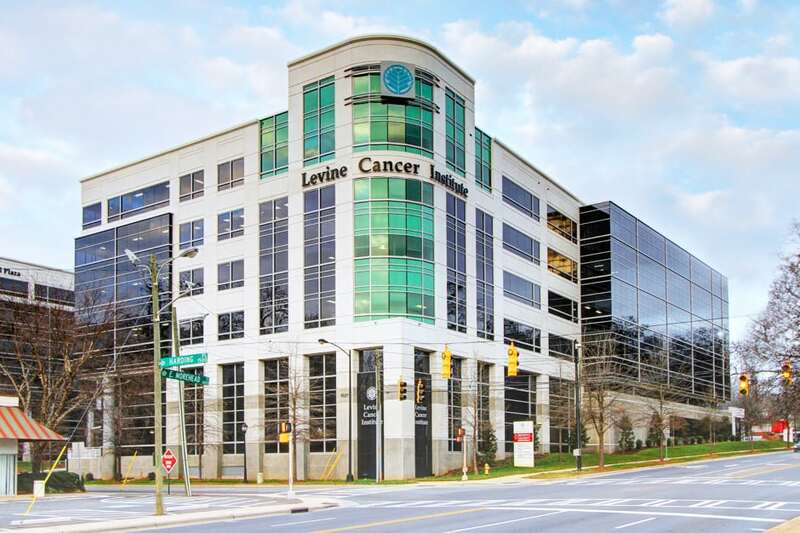 With several centers to visit in Charlotte, not only is there one that is nearby to where you live, but we also have doctors who specialize in different types of cancer treatment, so that you can visit a neighboring facility. What is a Medical Oncologist? What is an Oncology Dietitian?